Indulgent, yet true to that satisfying juniper hit, there’s luscious apricots and rich wild flower meadow honey, matched with fig, basil and caraway. 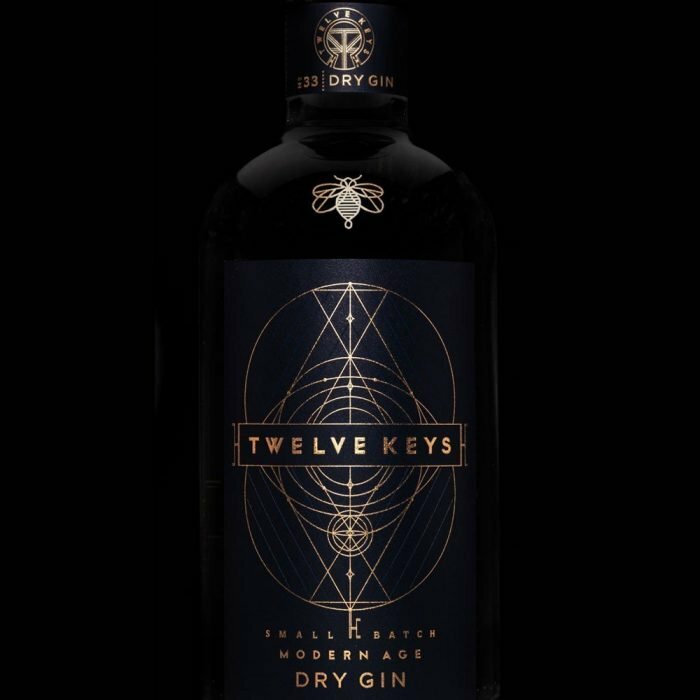 Twelve Keys is based around early alchemists and takes inspiration from four moments in time that were core to the story of Gin. Twelve keys takes inspiration from early alchemists and the history of distillation to unlock a gin that embraces the here and now. Embark on a journey of discovery with our intriguing balance of twelve carefully chosen botanicals. Rich honey from our wildflower meadow combines with succulent fig, caramelised quince, resinous juniper, verdant basil and ripe apricot as the catalyst for our classic london dry gin. Our harmonious recipe delivers notes of freshness from caraway and fennel, delicate spice from frankincense and cinnamon and subtle earthy undertones of gentian and orris root, to create a full, distinct flavour. Good things happen when you indulge the unexpected. Please note that all orders are tracked requiring a signature on delivery, and typically take 2-3 working days from the date of your order.